The South Burlington Energy Committee worked with the City of South Burlington to install a solar array on a closed and capped landfill. The array covers eight acres and is well-sited close to industrial uses such as the wastewater treatment plant and the airport. Landfills are also a preferred site under Act 174 (Energy Planning), which encourages renewable energy generation on already disturbed sites. 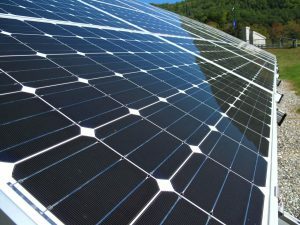 The project represents a likely savings of $5 million over the 25-year life of the project for the city and the school district due to the favorable – and predictable – price the city will pay for the solar power. 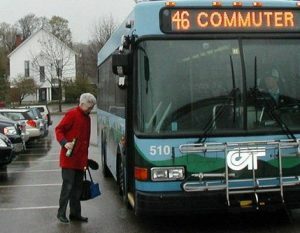 It will also generate thousands of dollars in new property taxes. All of this is done without any taxpayer investment due to the innovative public/private partnership. The Net Zero Revolving Loan Fund was established in 2016 to help finance municipal energy efficiency and renewable energy investments in the City. 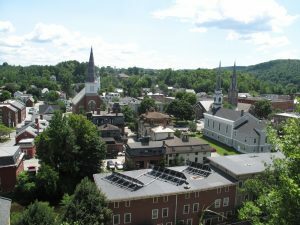 The Fund is administered by City staff with the support of the Montpelier Energy Advisory Committee, which is tasked with spearheading the city’s Net Zero Montpelier initiative. The Net Zero Revolving Loan Fund is aimed at capturing and tracking savings from sustainability projects and utilizing some of those savings for subsequent projects. In addition to funding stand-alone energy efficiency and renewable energy projects, the City can also use the fund to pay the marginal costs of efficiency improvements within larger capital projects. The residential energy code includes guidelines for every energy-related aspect of the building. It has standards for everything from air sealing and insulation to programmable thermostats and energy efficient lighting. Even though the code was passed in 1997, many builders are still not aware of it or may have heard of it but are not familiar with the details. Tyler Yandow, the Zoning Administrator in Dorset, noted that educating homeowners and builders regarding code compliance has been a priority of the town through providing information with zoning paperwork. 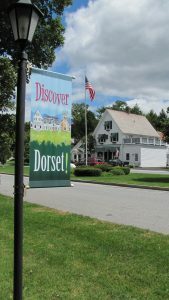 Dorset has required compliance with RBES since 2013, without it they will not issue a certificate of occupancy that is necessary for the occupants to move in. Read more about this initiative on the Community Energy Dashboard. 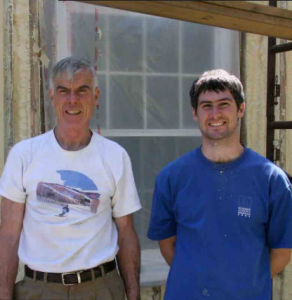 James Hand’s 1940s home was using 1,100 gallons of oil each year, so in 2009 he hired a Home Performance with ENERGY STAR® contractor through Efficiency Vermont. The contractor performed a comprehensive energy audit on his home and, shortly thereafter, undertook the recommended improvements. Air-sealing throughout the home, tested with a blower door. The total project cost was $8,277. These improvements reduced the air leakage in his home by 38% and dramatically reduced his heating bill. Before the project, he was spending $3,970 for heating, after saving 670 gallons a year he only spends $1,548 an annual savings of $2,422. 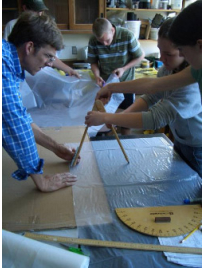 Read more about this project on the Community Energy Dashboard Hand Home in Manchester, VT.
VEEP worked closely with teachers from Cabot School to create interactive hands-on projects. Engaging students in an energy literacy program was the goal of the project, so the program focused on having the students fully involved in the learning process. Projects included building solar concentrators, creating CO2 balloons, replacing incandescent light bulbs with CFLs, and weatherizing houses for local farmers. Hands-on projects engaged the students while they learned about more sustainable energy products and approaches. The VEEP project with Cabot School reduced the school’s annual electricity usage by 10% per year from 2003-2012. More importantly, 10 years worth of Cabot students have had the opportunity to get engaged with energy and take leadership by promoting energy efficiency and renewable energy in their communities. Download the Energy Case Study.